No land manager (public or private) ever wants to have a trail user injured on the land or on a trail. However, there are inherent risks in being outdoors. For example, park enthusiasts are exposed to a variety of weather conditions, trail surfaces, and even trail users that have the potential to pose risks to other visitors. 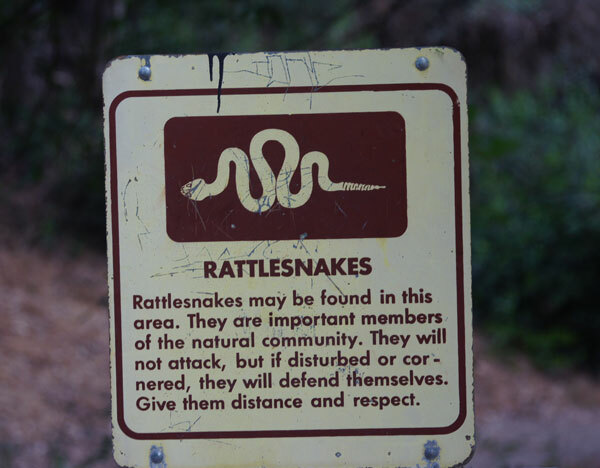 From snakes to mountain lions, coyotes to bobcats, there are numerous animals that trail users may encounter. There are even plants that can cause problems if touched or ingested. Uneven surfaces could result in a sprained ankle for even the most experienced trail user. 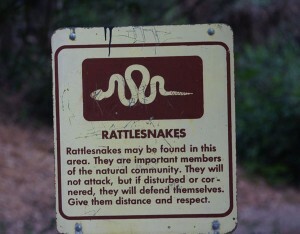 Make it your own responsibility to understand the dangers or risks of land and its inhabitants. Each trail user must rely on their own skills, abilities and knowledge to keep themselves, and potentially others, safe. Understanding the wide array of situations you may be presented with and how to appropriately respond will keep you and other trail users safe.